Paw Tree Superfood – For cats or dogs. Scroll down on their page to access free samples for pets offer. pawPairings Superfood Seasonings are a quick and simple solution. Purina Dog Food – Get a free sample bag of Purina One dog food. Fill out the required fields on their page to make your request. WizSmart Dog Pads – (They have a weekly limit) Are you training a puppy? Fill out the form on their page to request a free WizSmart dog pad training pack. Texas Mills Dog Food – Fill out your information on their page to receive a free Texas Mills dog food sample. Available while supplies last. Woof woof. Thanks for the heads up Alice. Nupro Natural Pet Supplements – Request free Nupro natural pet supplements by mail for either dogs, cats, for ferrets. Please fill out the form to make a request. Available while supplies last. 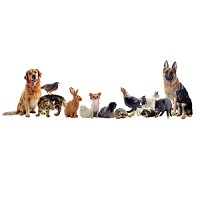 Nurture Pro Dog & Cat Food – Request a free sample of Nurture Pro dog and cat food sample. Fill out your information to make your request. Canidea Pet Food (Dogs) – You must go through a Facebook account and click on the blue, follow link button that takes you to the form. Fill out the form on their page, then choose what kind of pet and then what Canidea pet food samples you’d like to request. Rachael Ray Dog and Cat Food – Sign up for free samples of Rachael Ray dog and cat foot. Make sure you click on the bubble for this sample and then complete the form. These samples are usually only available for a short time before all the options are for you to buy so please hurry if interested.